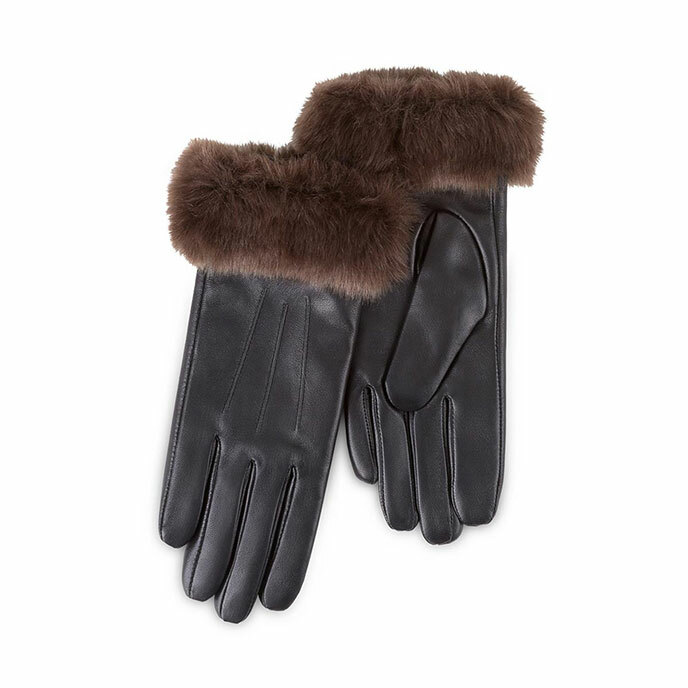 The Isotoner luxury leather gloves, featuring super-soft cashmere lining for comfort and warmth and a trendy contrast faux fur cuff. Also gift boxed, they make a great present for a friend or loved one! Do not wash - wipe clean with a damp cloth. Avoid contact with oil or solvents. Avoid contact with lighter materials as some colour transfer may occur.